Before rocking up on your first day it is important to get prepared! First of all, research as much information as you can about your organisation. What is their mission? Their values? Their key motto and phrases? This information will help you to understand the organisation but may also spark some creative ideas. Write these down and use them throughout your internship. Bosses love ideas and if you have some prepared then suggest them! Also set yourself some of your own personal goals. What do you want to achieve during your internship? Do you want to improve your communication skills? Gain experience in working in a team environment? Work for a cause that you care about? Be certain on what you want to achieve and make sure to refer back to these goals during your internship to make sure you are staying on track. First days are always the hardest but don’t worry because it only gets easier! Not only are you dealing with an unfamiliar role and job description but you are also entering a different environment, meeting new people, being inundated with information and battling a serious case of nerves. Try to stay calm, smile and be yourself! The best way to impress on your first day is to be prepared. So if you have been following this guide then you are well on your way! Make sure to carry an outline of the project and any key milestones and deliverables to refer to on the day. This is the time to set those in stone and gain a better understanding of your tasks. While the first day might be daunting, have a positive attitude and be enthusiastic! Milaana loves happy students with initiative and so do our organisations! An internship is such an important environment for learning so it would be such a waste if you didn’t make the most of it. The best way to do this is to be a sponge and soak it all in. Ask questions. Talk to your mentors. Actively listen. Take notes. A great way of remembering the information you are receiving is to write it down and then go home and read over it again. Five minutes of reflection after a long day can also be incredibly rewarding. Reflect on what was good, what was bad, what you learnt, what you are confused about and any ideas or concepts that really stood out to you. Be creative with your reflections. Write them down on post-it notes and stick them on your wall! Make a video reflection! Blog about it! Make it fun and you’re more likely to do it. Getting feedback can often be an intimidating experience but is so essential to your learning and development. Milaana encourages our organisations to set up a mid-way project review and provide documents that easily allow an organisation to assess your performance. Don’t freak out about it! All of our organisations are extremely nice and supportive. If they do happen to identify an area in which you need improvement, be ensured that they will provide all the support you need. If your organisation doesn’t have a review process in order, speak to your supervisor and ask how you are doing? Am I meeting the goals of my project? Is there anything I could do better? Anything you would like me to change? And once you receive the feedback, put it to good use! We have spoken about networking time and time again but it never hurts to add some emphasis to such an important aspect of an internship. Networking is key! The idea is that networking opens you up to so much information that you might not even know existed. You can learn about different professionals in your field, identify thought leaders in your area and even discover job opportunities. Developing a network is a continual process that starts small but can quickly accelerate if you take the time and effort. Start with colleagues in your workplace and don’t forget the other interns because in two to three years, they will be your colleagues too! Attend social events that your organisation holds as this is an excellent chance to get to know people and meet other people. You might even want to send out a tweet or Facebook message to someone that you admire and spark up a relationship using the social media world! Be sure to nurture these relationships as the internship progresses so that when three months is up and your internship is over you can still reap the rewards of a professional network. Stay connected to your supervisors, mentors and colleagues and continue the relationships. You’ll never know when you might need a little help for the future. Getting an interview or job can often come down to who you know or what your past managers have to say about you, so make sure it is something good! Milaana wishes you all the best in your internship and we hope these tips will help you make the most of it! 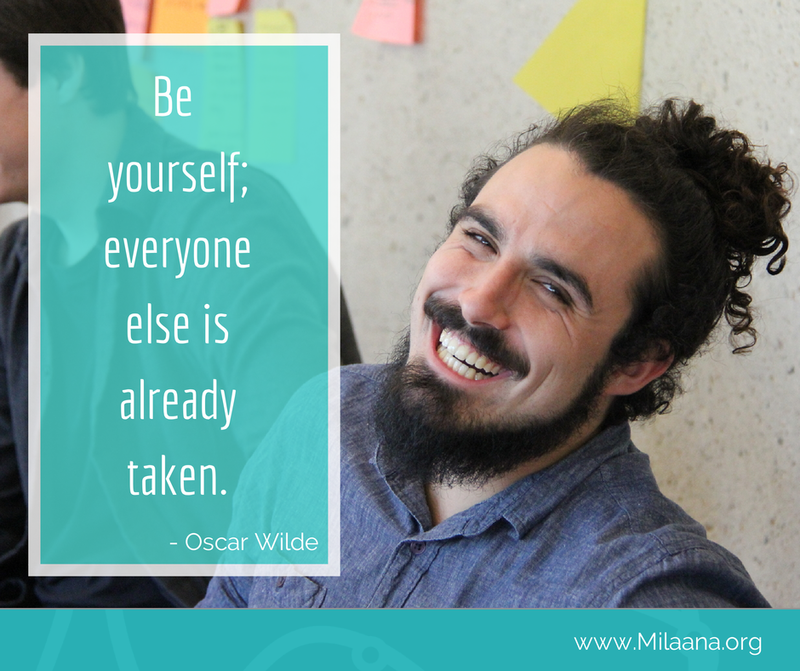 Whether you are still looking for an internship opportunity or have just come out of one and are looking to scope another, check out milaana.org for the best cause-driven projects with incredible organisations! O-Week and Volunteer Fair Adventures!